The latest Dream League Soccer Kits and logo for your favorite football clubs is now available for download so that you enjoy the real game play. 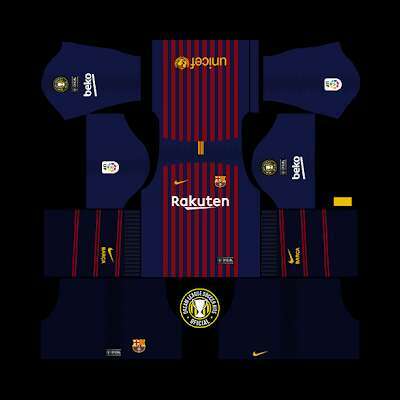 These DLS 18 kits and DLS 19 kits packs includes the official club logos, Jerseys, boots, Goalkeeper kits and entire team kits. You need this kits because most versions of Dream League Soccer game doesn’t come with the official club kits probably because First Touch Games didn’t acquire the rights to use them so this has prompt many passionate gamers search for where to download the kits and how to add them to their respective clubs. All you have to do is download the jersey for the respective clubs you would like to have the official jersey and side-load it on to the Dream League soccer game you have installed on your phone. Once you do this, the respective clubs whose jersey you downloaded and side-loaded into the app will have the official jersey. 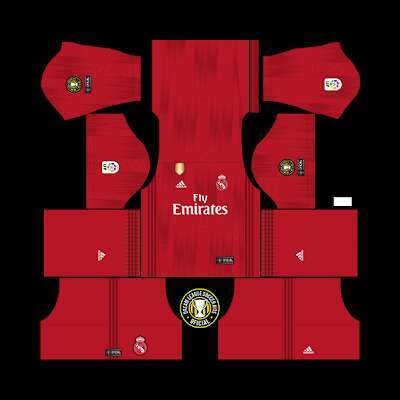 The only problem which this is that you’ll have to download the clubs jersey individually and if you want the jersey for all the clubs then it can be pretty tasking. However, you do it one at a time and overtime, all clubs in the game will have the official jersey. Personally, what I normally do is to download the official team kits of my favorite clubs and other top teams to reduce the time and stress of individually downloading all the team kits. As we already know, Dream League Soccer is now a very popular game ranking just below PES and FIFA in the mobile football gaming world. It’s download size is considerably small compared to the FIFA and PES but still offers good graphics and gameplay. You’ll have to download the official jerseys for the individual clubs and load it into the game. 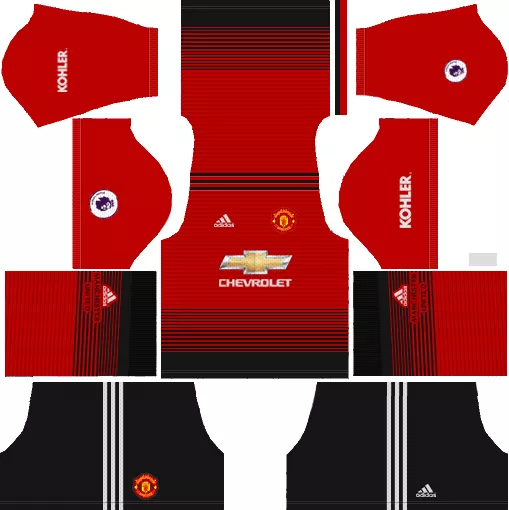 I have already provided you with the links to download the jersey and logo for some clubs including Chelsea, Manchester United, Manchester City, Liverpool, Barcelona, Real Madrid, Arsenal, Juventus, AC Milan etc but first, let’s go ahead and show you how to make use of the jersey when you download it. You need to download either DLS 18 here or DLS 19 here and launch the game. Once the game loads, goto the “My Club” section. 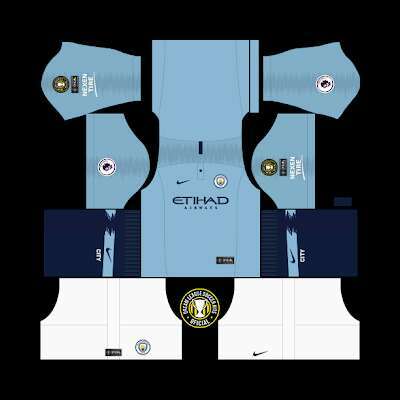 Now under the space provided, paste the link/URL of the jersey you’ll like to download that you copied below this post. When you enter the link, download the Jersey and it will be loaded. 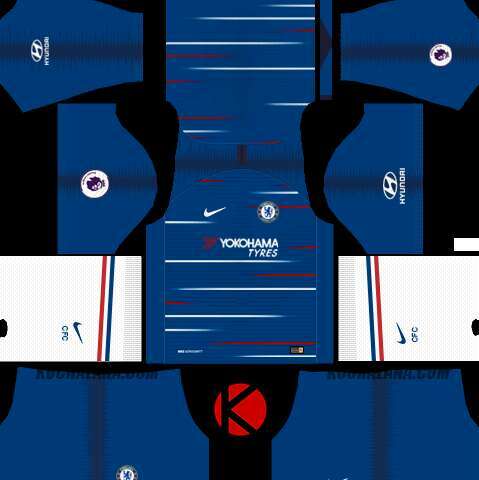 There you have them – Dream League Soccer 18/19 kits for your favorite football clubs. Note that some DLS games are the modded version with the official team kits included but if yours doesn’t come with the original kits and logo, you surely need to download these kits have an experience of real game play.